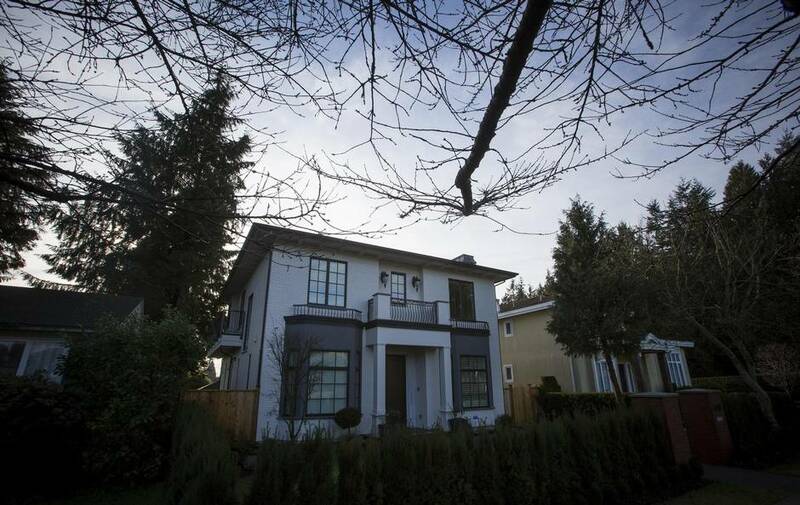 The Rappaports’ home, on Vancouver’s West Side, would net the couple $5.2-million last year. Jo and her husband had bought the stately Craftsman home in 1987 for $362,000. They raised their sons there and loved it. But the neighbourhood had changed. Investors were razing the houses and it was time to move on. The couple suspected the house would be torn down, like so many others on their lush and lucrative street, but they stood to profit nicely. There was some toing and froing over details, then a slight change of plans. For reasons the Rappaports never quite grasped, they were no longer selling their property to the foreign businessman whose offer they had accepted. Instead, they were selling to his real estate agent, Wayne Du of Amex Broadway West Realty, who told the Rappaports that he and the businessman’s wife would be purchasing instead, as co-owners. The Rappaports weren’t thrilled, but there was nothing they could do to prevent it. Their contract, after all, contained what’s called an “assignment clause,” which gave the businessman the option to sell or transfer his interest in the property before the closing date. Three months after the deal closed, the new broker-owner relisted the house – which he then had a stake in – and resold it for $6.2-million, a substantial if not unusual price increase that works out to roughly $11,000 a day. Mr. Du is now advertising the house for sale again for $6.58-million. It’s all perfectly legal, even if it displeases the Rappaports. Assignment clauses are an obscure but increasingly ubiquitous feature of domestic real estate transactions in B.C.’s Lower Mainland, where feverish real estate prices have triggered a frenzy of buying and selling, and a national debate about the risks of an overheated market and the role of foreign investment. 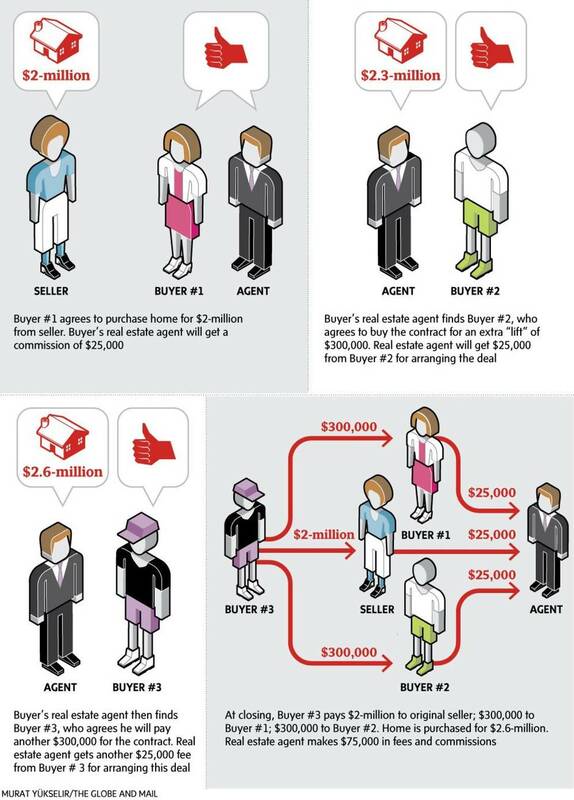 As part of an ongoing investigation into the phenomenon, The Globe and Mail examined scores of transactions and hundreds of records, and spoke with more than a dozen real estate agents and observers to understand the role of assignments in the Vancouver market. The findings shed light on an opaque and speculative realm of the housing market, in which properties are traded one or more times before a deal closes – legal but controversial flipping that creates opportunities for agents to make multiple commissions and investors to profit tax-free from houses that are not yet technically in their possession. Mr. Hasan cited one recent case, in which two investors paid $2.5-million for side-by-side properties, then quickly assigned the contracts to a foreign buyer for $3-million. “They got half a million dollars for doing nothing,” said Mr. Hassan, who – like many real estate agents who spoke with The Globe for this story, whether anonymously or on the record – would only refer to transactions without identifying the properties in question. While many agents make quick, easy money charging fees for arranging assignments – up to $50,000 a deal – others go for bigger profit by buying and selling houses themselves. While it is virtually impossible to determine the degree to which real estate professionals are personally invested in the market, anecdotal evidence of a brisk insider game abounds – the vast majority of it legal, though some running afoul of regulations enforced by the Real Estate Council of British Columbia. In an effort to get a glimpse of how many real estate agents trade in property, The Globe and Mail reviewed more than 2,000 public records – including building-permit data, sales transactions and land titles. The method is imperfect, but no one keeps track of how much trading is being done by and among agents. 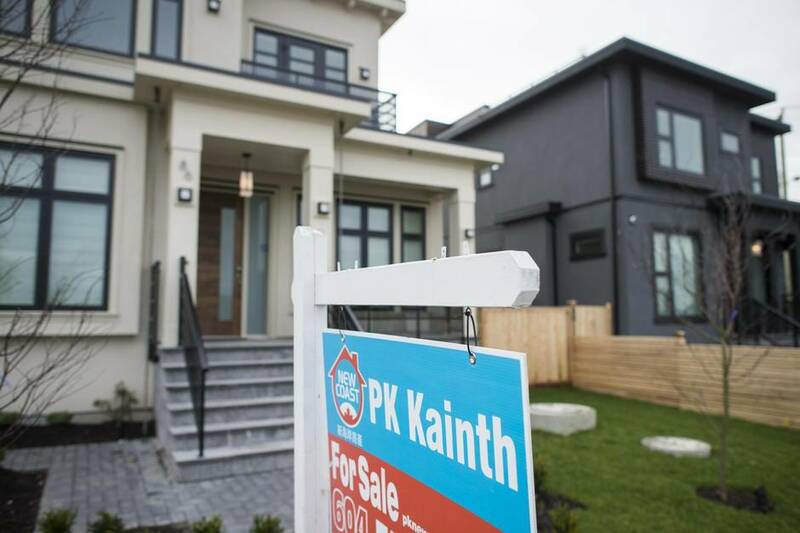 In one sample of 250 houses sold and resold in Vancouver’s West Side for more than $2-million in recent years, 11 per cent involved buyers and sellers with the same names as real estate brokers. Some listed their occupation as “Realtor,” several others as “businessperson.” In Vancouver, 1 per cent of the population are brokers – meaning that figure is is potentially 10 times what might be expected. In an already tight market, analysts said, all of this activity ties up inventory, contributing to unhinged prices, as brokers and investors hold property and trade empty houses. The Globe also reviewed several MLS ads, where an investment property owned by an agent is listed for sale by themselves or their brokerage firm. Other agent-owned houses are not on the market, but sitting empty – possibly being held until prices go even higher. Empty houses are a bone of contention for many Vancouverites, given the lack of affordable housing. The amount of money being made in some deals is astonishing, particularly when buyers purchase, demolish, rebuild and resell. 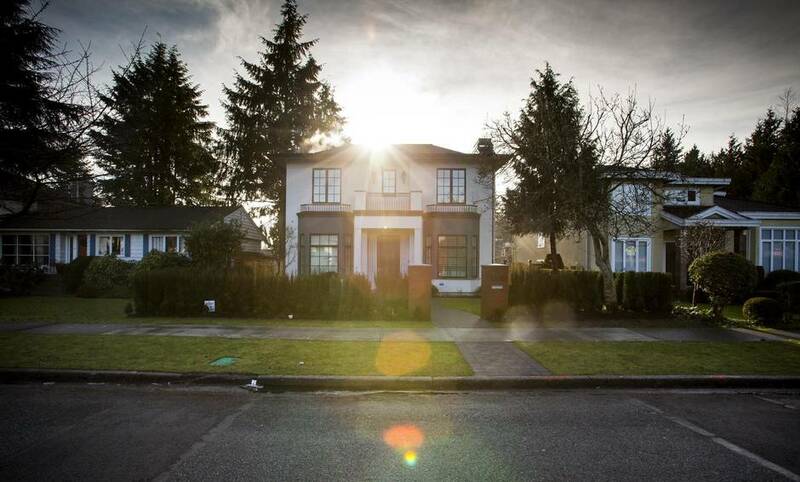 Nan Zhang, of Royal Pacific Realty, was in the process of getting her real estate licence in 2014, when she bought an older house in Vancouver for $2.8-million. She had it knocked down, then rebuilt. Nineteen months later, she sold her property for $5.6-million – netting an estimated $2-million profit, after substantial effort of her own. By law, brokers must tell buyers and sellers, in writing, if they have a personal interest in a deal before the offer to purchase is accepted. They’re also required to inform sellers if they plan to resell. When she purchased Ms. Shen’s house, however, Ms. Zhang was not yet a licensed real estate broker, so she had no obligation to disclose her intention to resell or rebuild the property. She did nothing wrong. 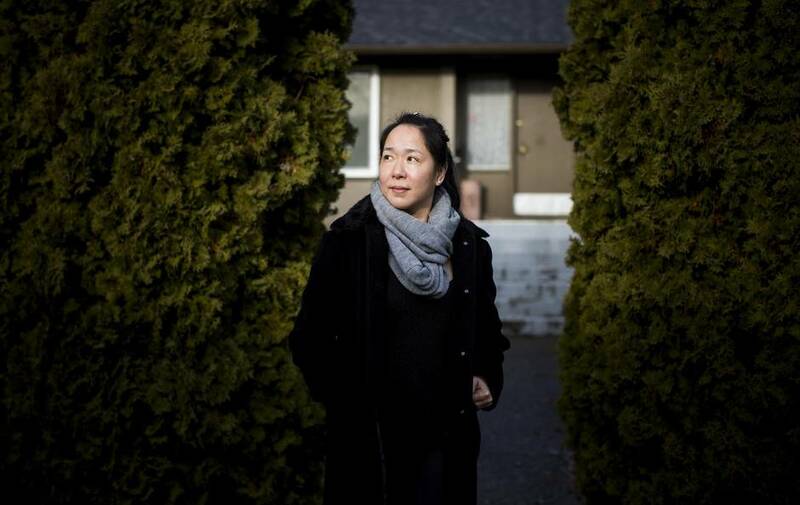 “It was my husband’s deal,” Ms. Zhang told The Globe by telephone. 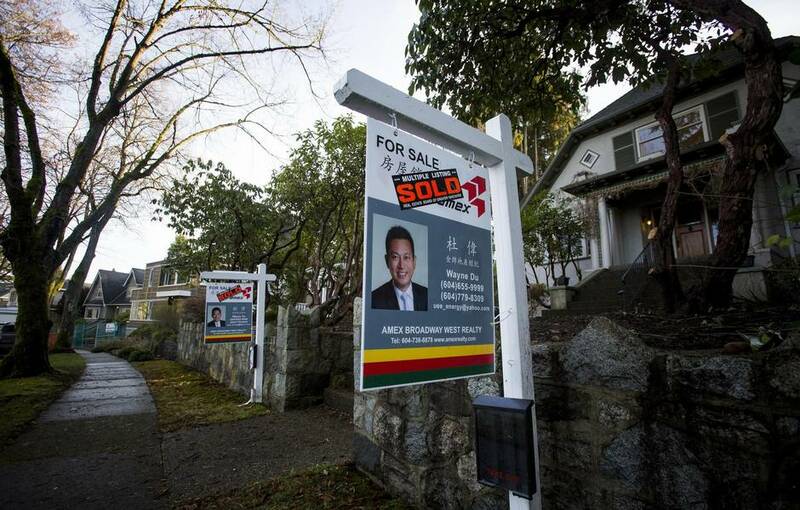 She considered it an unremarkable transaction in a market such as Vancouver’s. “There are lots of successful investments,” she said, questioning why one like hers was drawing attention. In faster deals involving assigments, brokers or their assistants often entice homeowners to sell by knocking on their door and offering a clean deal on the spot. After the offer is accepted, however, the buyer doesn’t close on the deal. Instead, the broker arranges to assign the contract, sometimes more than once, for fees that range from $20,000 to $50,000, according to real estate experts and court records. Routine real estate deals close within 30 to 60 days, in most cases. By contrast, assignment deals often involve long closes, which provide an even greater window of opportunity for flipping. Sellers who agree to a quick sale in a hot market often demand closing periods of up to six months, so they can find where they’re going to live next. Often, the seller has no idea their property is being resold before they move out. Realtors told The Globe the downside to flipping through assignment is that they can’t show the house to the end buyer, for fear of upsetting the seller, who is in the dark about what is going on. Middlemen do not pay land-transfer taxes on assignment deals because the property is not technically changing hands. The transfer tax – $38,000 on a $2-million sale in B.C. and increasing with the price – is triggered only at closing, when a final buyer assumes the title. And while assessment takes into account any price changes between offer and close, this leaves an unusual loophole in which assignment flipping is effectively tax-free. This loophole diminishes the effectiveness of the tax as a deterrent to speculation. Assignment deals can also lead to litigation. Broker Leo Zhang of Sincere Real Estate Services is accused by seller Wen Hsien Tsai of devising a scheme to acquire Mr. Tsai’s home for less than it was worth, then make a profit assigning the contract. In a lawsuit filed in B.C. Supreme Court, Mr. Tsai alleges Mr. Zhang approached him at his West Vancouver home last year, saying he had a buyer who would pay $5.1-million, on the spot. 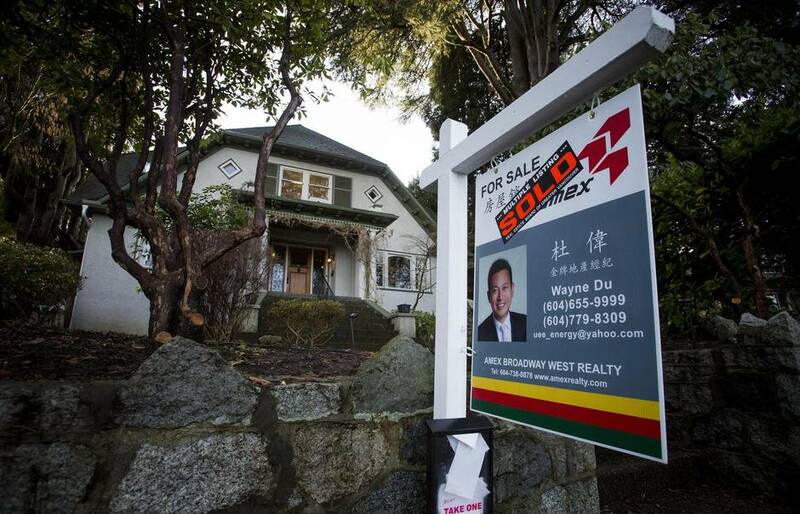 Mr. Zhang would get commissions from the buyer and the seller, which is allowed under B.C.’s real-estate rules. Mr. Tsai accepted the offer with no conditions. In the six months before the closing date, he alleges, Mr. Zhang and the buyer, Zhixiang Li, assigned the contract to a numbered company, which then assigned it again – to an end buyer – for $7.2-million. Mr. Tsai claims the broker stood to make $50,000 extra for arranging the deal, while the other middlemen split the remainder of the $2-million “lift.” No money changed hands, however, because the seller refused to complete the deal. In court filings, Mr. Zhang claims the original buyer legitimately wanted to move, but couldn’t sell his house. He also alleges Mr. Tsai approached him, wanting to sell, not the other way around. Mr. Zhang’s statement of defence also pointed to the contract, which contained a standard clause allowing it to be assigned. Both Mr. Tsai and Mr. Zhang declined comment. None of the allegations has been settled in court. Assignment clauses are intended to give buyers a legal way to back out of a purchase if their circumstances change. In that way, they also protect sellers, whose deal is protected so long as another buyer or assignee is found. They became an issue about six years ago with presale condominiums that hadn’t been built yet. Buyers were assigning the contracts for a higher price. Many condo developers put a stop to that, however, by removing or altering the clauses allowing it. 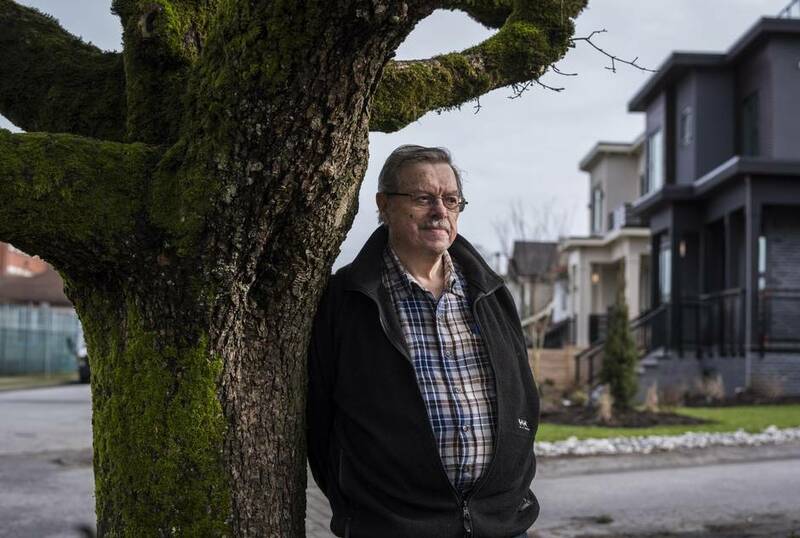 In the Lower Mainland’s red-hot, high-end housing market, however, the assignment clause is a powerful instrument to make profit; it is, paradoxically, both cause and effect. Many sellers, though, don’t even know these clauses exist – let alone that they agreed to one in their sales contracts. “A properly advised seller would insist on a no-assignment clause in the contract – but I have never seen that on a house sale,” said Ron Usher, a lawyer with the association representing B.C. notaries. Phil Sunderland and his sister sold their parents’ house – where they grew up – for $1.6-million, to real estate broker P.K. Kainth of New Coast Realty. Mr. Kainth wasn’t the original buyer, however. He got in by assignment before the deal closed. He then built two new houses there, which he now has up for sale – at $3-million each. The broker remained compliant with disclosure rules because – as in the Rappaport deal – he jumped in after the initial offer was accepted. The rules require brokers disclose to homeowners if they stand to personally profit if they are making an offer, not if they acquire the property later through assignment. The rules are enforced by the self-governing Real Estate Council of B.C., which investigates complaints against licensed brokers. However, The Globe found several instances where sellers didn’t know about a broker’s interest or didn’t understand how it played out – let alone where to complain. Some deals were made on the spot – in one day – where sellers felt real estate agents took advantage of them. 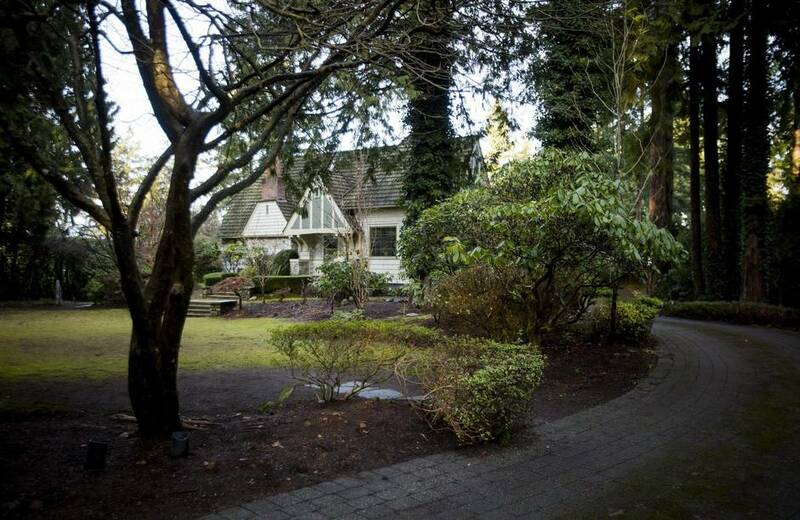 Gloria Amirault sold her Vancouver house to a numbered company, where a broker is named as director. Her house also wasn’t for sale, but a friend called saying another broker had a buyer who wanted to meet that day. By dinnertime, Ms. Amirault had sold for $2.1-million. The numbered company flipped the property three months later, for $300,000 more. There is an exception to the rules governing brokers, saying they don’t have to disclose their vested interest if it’s in a company where they don’t own more than 5 per cent of the shares. There is no way to check that, however, because in B.C. shareholder information is not public. Many brokers use assignment clauses to make money as middlemen, but one fast-growing Vancouver-area firm has gone a step further: actively encouraging its agents to invest in real estate. New Coast Realty opened in 2012 in Richmond and now has 400-plus brokers and several locations. In a recent blog aimed at real estate professionals, then-vice-president Benson Wang told them insider information gives them an edge. The Globe found several properties registered under the names of brokers working for New Coast. Lynn Yang worked as an assistant for one of New Coast’s top brokers in 2014. She said one of her jobs was to knock on doors and persuade homeowners to sell quickly in private deals arranged by her boss. “We would circle an area and try to buy them all – and then flip. [Homeowners] would be told: ‘I don’t know English, my English isn’t very good. I just want to buy your house,’” Ms. Yang said. Brokers’ assistants are not bound by the rules governing agents. Bilingual ads by New Coast suggest it’s interested in “purchasing land, old houses and commercial real estate.” However, its managing broker, Josh Rosenberg, insisted New Coast itself has never purchased property from clients – and its ads are aimed at attracting other buyers. “I can see how they might be read to suggest that New Coast might be interested in buying real estate, but that is just the result of perhaps not the clearest translation of marketing materials,” Mr. Rosenberg said. Three other staffers who recently left New Coast spoke to The Globe on the condition they would not be named. They described curious tactics to get homeowners to list their houses for sale with its brokers – including paying clients $2,000 up front. Brokers are encouraged to maximize commissions, the former staffers said, by then selling to buyers also represented by New Coast. One former broker said foreign buyers often pay too much, believing there are multiple offers. Mr. Rosenberg told The Globe he had no knowledge of these tactics and would not permit them. “I have never seen evidence of any of these things at New Coast and they would not be condoned,” he said. Another high-level insider said some brokers also help buyers assign contracts – up to three or four times – until a final buyer pays top dollar. Helen Yin, a former New Coast broker, said she was encouraged to make more money that way, but didn’t. “I don’t want to do that. Because when I do the deal, I want to go home and sleep,” said Ms. Yin, who is also in a wages dispute with New Coast and has filed suit in small-claims court. New Coast takes half of each broker’s commissions, in exchange for providing listings and other supports – which is unusual in the industry. At most firms, experienced brokers receive their commissions, then pay various fees to the brokerage. William Messer was the managing broker for New Coast when the business started. He said the owner, Ze Yu Wu, hired him to interpret Canadian real estate rules for Mr. Wu and the company’s board of directors. “They get Chinese [clients] who are ignorant of the market to buy their high-end investments. They tell them it’s going to appreciate and they will have a tax-free gain,” said Mr. Messer, who believes foreign buyers are treated unfairly in the current system. Mr. Messer said he wrote to the Real Estate Council of B.C. in 2013, expressing concerns that both sellers and buyers weren’t being properly informed on what properties were really worth, which is against the rules. He left the company soon afterward. The Globe attended a New Coast seminar for aspiring brokers last November. Mr. Wang, lead instructor at the time, told them to stay as close as possible to Chinese buyers when they visit Vancouver, to “be their translator” and encourage them to offer top dollar for a property. “Pick up the client at the airport. Drive them to a hotel. Pick them up first thing in the morning and then drive them around until they make an offer – that day,” Mr. Wang said. He also encouraged the would-be brokers to charge foreign clients for as many services as possible. “I have multiple properties and an annual income 10 times higher than the average Canadian. I am making more money than multiple doctors,” he said. Mr. Wang said he left New Coast in January. Before he started New Coast, owner Mr. Wu bought several properties in Richmond, which resulted in complaints and lawsuits from homeowners who alleged they’d been duped into selling for less than their homes were worth. In documents filed in court, Leo Boucher said Mr. Wu approached him at his house, offering him $840,000 in a private deal. Mr. Boucher is a senior and said his wife had cancer at the time. He sold to Mr. Wu for $950,000 in 2011, and soon found through an appraisal that his house was worth $1.25-million. Mr. Boucher claimed 57 people on his street had been approached with similar offers. Mr. Wu responded to the suit by claiming he spoke no English and then countersuing. The case was settled confidentially. Jim Davis agreed to sell his deceased mother’s home in 2011 for $870,000 – the same day he was approached by Mr. Wu. “He said he was looking for a house for his family, he liked the area and he wanted to raise his family in the area,” Mr. Davis said in an interview. Records indicate Mr. Wu then quickly assigned the contract to another buyer for $100,000 more. Mr. Davis filed a complaint with the Real Estate Council against Alban Wang of Amex Sunrich Realty, the broker who facilitated the deal. The regulator said it received 12 similar complaints. It gave Mr. Wang a 14-day suspension for his role. “What the hell is wrong with our government that will allow these guys to operate like this? It’s an absolute joke. It’s a travesty. He got an unpaid vacation,” Mr. Davis said. In recent years, the council has disciplined 13 brokers in B.C.’s Lower Mainland for failing to disclose their interest in deals, some involving assignment of contracts. It’s considered professional misconduct when brokers do not follow the disclosure obligations of their codes of conduct. The maximum penalty is losing their licence. However, in the 13 cases reviewed by The Globe, 10 of the agents were suspended for three months or less. The council advises people to read their sales contract and hire a lawyer before signing. Mr. Love, the Realtor, said that, while much of what’s going on is indicative of a hot market, he thinks it’s tainting his profession. “It’s a dangerous type of business – you are opening yourself up to all kinds of issues and problems,” Mr. Love said. "They are committing a sin in our business in that we put our clients first."